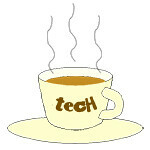 IBM MobileFirst « Tech bytes for tea? Businesses compete today in an increasingly digital marketplace, with stakeholders that expect innovative, personalised and efficient interactions with modern digital businesses via interconnected digital technologies. Brent Michael Nulf shares how enterprises can accelerate their speed of innovation through the adoption of APIs and Microservices. 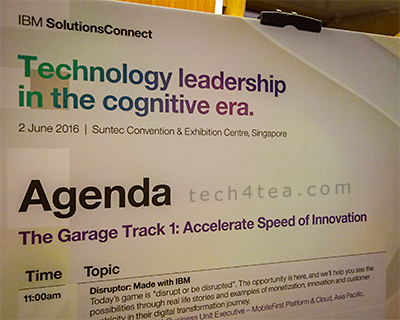 Following the two keynote presentations at the one-day thought leadership conference by IBM in Singapore, there were two concurrent one-and-a-half-hour Garage Tracks, one on accelerating the speed of innovation and the second on insights-driven IT. I followed the former to find out more about how to extend infrastructure investments to drive innovation. This is the first presentation in this Track. Brent Michael Nulf – who is a Business Unit Executive for MobileFirst Platform & Cloud, Asia Pacific, IBM Corporation – cited Starbucks, Peugeot and CitiBank as examples of companies that had reaped huge returns by disrupting through digitisation of their businesses. Adopt cloud-based delivery that make it easy to grow. Build an ecosystem of partners large and small. Eg. Run hackathons with partners to generate new innovative ideas. The world’s most successful digital enterprises – such as Google, Facebook, Netflix, Twitter, eBay, Salesforce.com – are leveraging an API-base architecture to enable innovation and power growth. Valuable business assets are exposed as APIs that are consumed by App Developers to develop innovative apps that result in a delightful experience for customers. However, within enterprises, a fine balance needs to be struck between the demands by the lines of business for fast speed and agility in the digital ecosystem, against the slower pace of the IT departments for integration and scaling of the core enterprise to ensure stability. The answer to this “Multi-Speed” conundrum is Microservices, which involves the implementation of the SOA architecture to create small autonomous services that work well together.